Silver Oval Cross Link Chain Necklace and Bracelet. 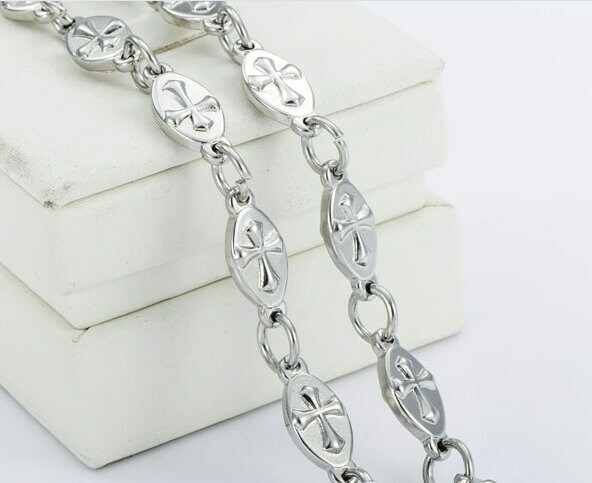 This fabulous looking Stainless Steel Silver Oval Cross Link Chain Necklace and Bracelet looks and feels substantial. Every link has a Raised Cross on it! The Stainless Steel Lobster claw clasp is both easy to use and positive locking. A Saint Michaels Jewelry exclusive. The Necklace is 18" on length and bracelet is 7 1/2" in length.